It was in Munich, in Germany, over a century ago, that Enrich Sattler first created his business making large size clocks. The success of this amazing endeavour resulted in an Imperial patent, issued in 1903, for his perpetual calendar project. 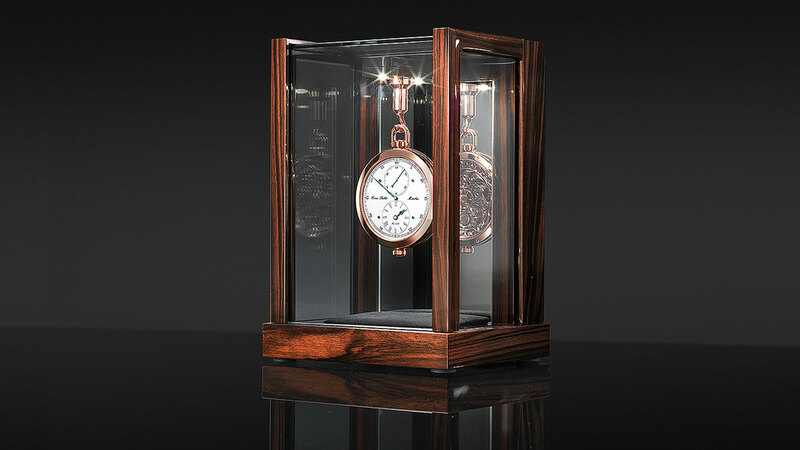 Enrich’s passion was passed on, a few years later, to his grandson Erwin who having started out as a simple clerk, soon became one of the most respected makers of grandfather clocks and table clocks. Even today Erwin Sattler is synonymous with design, quality and long lasting products: his master clockmakers, under the guidance of Richard Müller, who work on the production, development and assembly, are capable of building the most accurate pendulum clocks in the world. 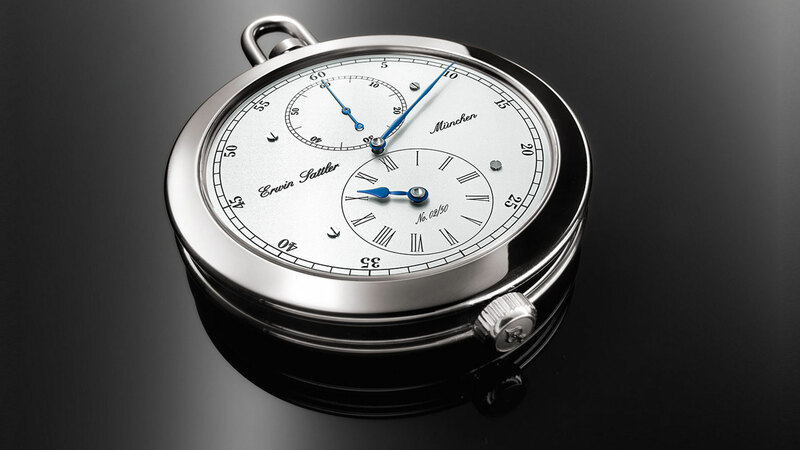 The classical and minimalist elegance is a feature of all of Erwin Sattler’s articles: the Bavarian clockmaker produces precision pendulum clocks, wall and table clocks, as well as fob and wrist watches. 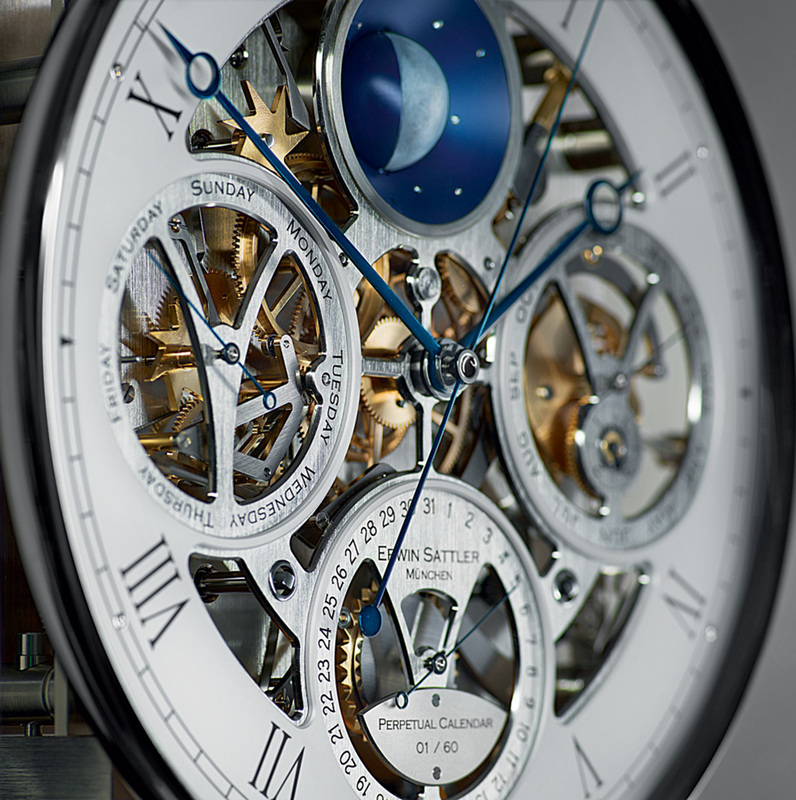 The long evolutionary chain, that develops out of an initial idea right through to the final manufacture, is the result of a well-balanced relationship between the most advanced technologies and traditional craftsmanship, an ensures that every single detail of a Sattler clock matches the highest possible expectations. For mechanical parts are made using digitally controlled machinery, otherwise maximum tolerances in the order of 1/100 of a millimetre could not be achieved. But the decisive factor in the making of precision pendulum clocks is still the human one, which decorates and assembles these examples of mechanical art. The impressive size, special design and modern aesthetics of this truly majestic precision pendulum clock make it an absolute masterpiece of craftsmanship. The timepiece gives the beholder all the information they could possibly need: the hour, minute and second, but also an equally beautiful and stylish astronomical trio to show the day of the week, the month and the exact date. This pendulum clock is a limited edition of just 60 pieces to celebrate the year of our anniversary. 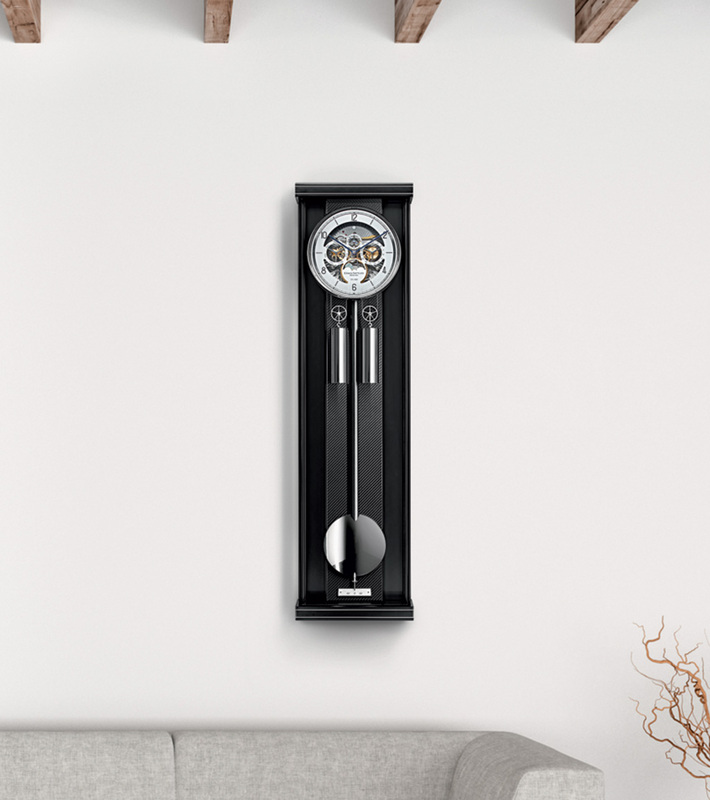 This 96-centimetre high pendulum clock will provide a fresh new perspective for those who appreciate mechanical intricacy. A glance through the skeletonised dial reveals two special switchgears mounted on the front of the calibre (Sattler 1956 calibre with Jubilee button). This fine pendulum clock will find a dignified spot almost anywhere on the wall thanks to its discreet dimensions, just 70 centimetres in height, its wooden housing is 20 centimetres wide and 10 centimetres deep. The Opus PM 70 is made in aluminium with an electrically oxidized surface. Small diamonds glitter next to the Roman numerals II, IV, VI, VIII, X and XII. Through a semi-circular opening about the “6”, the moon’s phases can be read through a hand-painted window. This is just one of the many features that emphasize the extremely high manufacturing standards of this clock. Thanks to its exceptional aesthetics, the Regulateur 1920 wrist watch is a source of great pleasure for its proud owners. 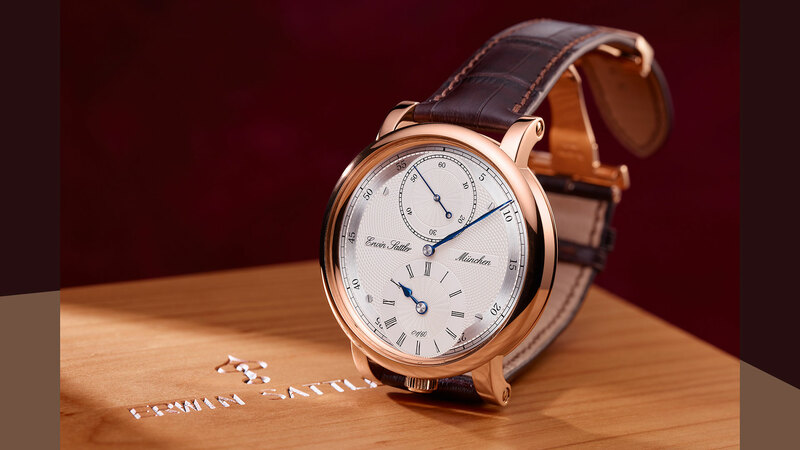 Its precious materials, outstanding craftsmanship and functional perfection are exactly what you’d expect from a masterpiece of Erwin Sattler’s production: this is a timepiece that embodies the history of watchmaking. 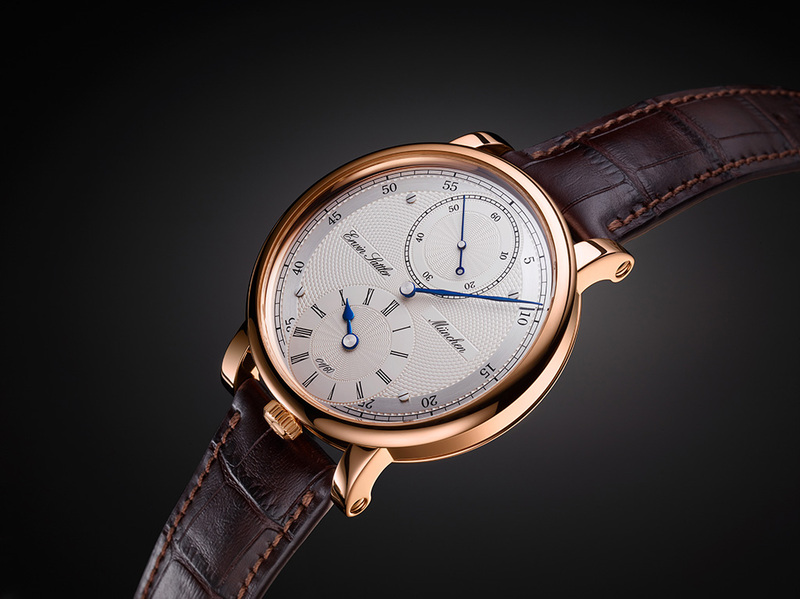 Even the name of the watch is significant, as it stems from a commitment to tradition. He unusual design of the solid silver dial is reminiscent of the precision pendulum clocks made by Erwin Sattler from 1985 onwards.